Alan March was named the 2016 Victorian Planner of the Year, an honour given in recognition of his outstanding contribution to improved planning practice regarding bushfire vulnerability, disaster risks and resilience. “Alan has been a tireless supporter of research and engagement leading to practical applications. In partnership with organisations such as the CFA, CSIRO, DELWP, Emergency Management Victoria, local government and Melbourne Water, Alan has worked across disciplinary fields to influence policy and grow the capacity of the planning profession. He has a reputation for not just getting people thinking, but for getting them involved and changing what they do.” – Planning Institute of Australia. 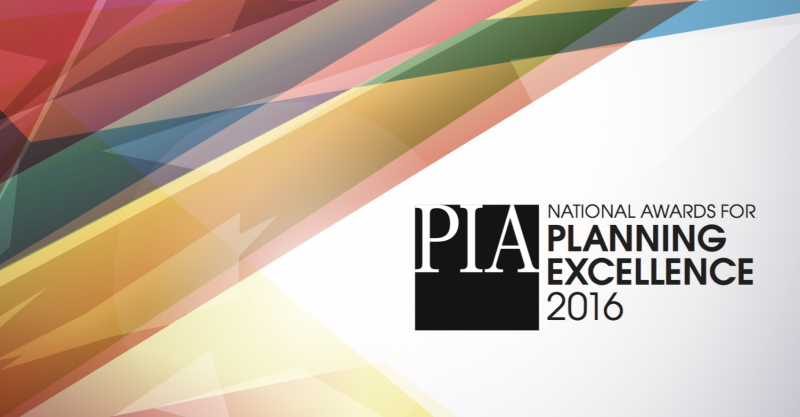 To read the full citation and view all the winners for 2016 visit the awards section of the PIA website. Carolyn Whitzman was honoured with a Fellowship at the Victorian Division of the Planning Institute of Australia, in acknowledgement of her longstanding commitment to, and demonstrated leadership within, the planning profession. Claire Boulange received the Award for Excellence in an Outstanding Tertiary Student Project for her impressive doctoral thesis, The Walkability Planning Support System. Claire has developed an interactive, computer-based tool to predict the probability of walking as a mode of transport. The tool evaluates variables such as residential density, land use mix and street connectivity to determine whether the built environment will help or hinder walkability.